Union County is the seventh-most populous county in New Jersey. Much of Union County is relatively flat and low-lying. Only in the northwestern corner the Watchung Mountains cross the county. 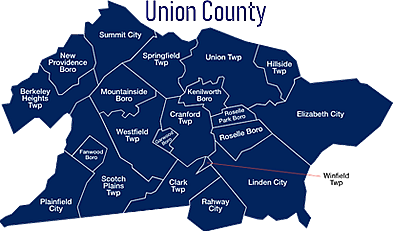 There are 21 Towns in this 105.4 square mile county and approximately 563,892 persons reside in Union County. Some of the popular towns are New Providence, Summit, and Westfield. Kean University, a co-educational, public research university dating back to 1855 is located in Union and Hillside, serving nearly 13,000 undergraduates. Union County College is the two-year community college for Union County, one of a network of 19 county colleges in New Jersey. 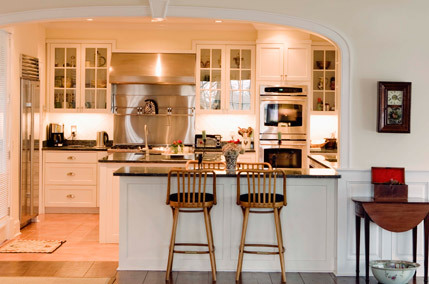 Housing options in Union County range from Single Family Homes, Luxury Homes and Estates, Condos and Townhouses in towns, to apartment and condo and townhome rentals. You have choices from intimate, seven-unit renovated Victorian buildings to Multi-unit development with amenities such as a club house, swimming pool and tennis courts or perhaps something in between. Lush parks are strategically situated to offer Union County easy access to recreational amenities and facilities. Union County’s Division of Golf Operations runs two Public golf courses, which offer golf lessons and practice areas. Ash Brook Golf Course in Scotch Plains and Galloping Hill Golf Course and Golf Learning Center in Kenilworth. Also, Baltusrol Golf Club is a private 36-hole golf club in Springfield. The club has hosted U.S. Opens PGA Championships. Echo Lake Country Club is a private, member-owned country club located in Westfield. Hyatt Hills Golf Complex is in Clark. All of these factors coupled with a high quality of life have continued to attract many major companies and residents to Union County.